SUMMARY: Although consumer spending is down, marketers can still rely on effective channels like email and direct mail to generate revenue. The key is delivering customers the most relevant, personalized offers possible. See how an active travel marketer recharged their campaigns by combining personalized direct mail, email and websites. 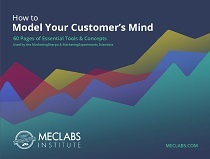 Includes creative samples, response metrics, and the steps they took to lift sales of both past customers and prospects. Direct mail was a cornerstone tactic for Massimo Prioreschi, VP Sales and Marketing, Backroads, an active travel company. He and his team sent about six catalogs a year to their list of past customers and prospects, in addition to six to 10 smaller mailings, like mini-catalogs and postcards. But in early 2009, consumers were more closely scrutinizing their finances and travel plans, and the team needed to boost revenue. They knew that their direct mail program worked -- but they needed a campaign that would pull even more value from it. They also wanted to take greater advantage of an extensive marketing file that had been appended with third party information, such as household income. "We were also getting feedback from our past customers saying ‘I love the mail that you’re sending me, but it needs to be more relevant,’" Prioreschi says. To build a more relevant and personalized series of marketing communications, Prioreschi’s team needed to go to the Web. "There is a flexibility on the Web that does not exist with print," he says. Prioreschi’s team maintained a marketing file of about 5% past customers, and 95% prospects. Prospects had submitted their contact information when they requested print catalogs or other information online. The team wanted to mail all past customers for the campaign, but could not mail all prospective customers -- it would have been too costly, Prioreschi says. Instead, they targeted prospects who had been in touch with Backroads during the previous three months, and who were likely to be in one of the highest household income brackets, according to the household income data they had appended to their database. The segmented list ultimately contained about 50% past customers and 50% prospects. The team combined this user-generated data with research into past purchases, information requests, and regions in which prospects were interested. Then, they selected three trips that would likely appeal to each recipient based on those factors. The campaign included discount offers to recipients based on the length of time that had elapsed since their last contact or trip with Backroads. The discounts increased with the length of time since last engagement, and ranged from $200 to $500 per person. For example, a customer who had last contacted the company or purchased a trip three months ago received a $500 discount offer. The team used its database of more than 50,000 high-quality, location-specific travel images for the campaign’s creative elements. o Large image from the location of the last trip, captioned, "[Last name] Family Trip, [Location] [Year]"
o Message -- "[First name], it’s time for another memorable Backroads adventure. Find yours here: www.travel-backroads.com/firstname.lastname"
The team had less information on prospects who had not yet been on a trip. This required a different creative approach. o Message -- "[First name], staycation or playcation? It’s your choice. We’d recommend a trip with Backroads this summer." The team built personalized email messages with many of the same attributes as the personalized webpages and postcards. o Message -- "[First name], it’s time for another memorable Backroads adventure. Find yours here, plus special savings of $[offer]. * Hurry, this offer ends 4/22/09"
Because email is so affordable, the team sent an email message to its entire list of prospects and past customers, even if they did not receive a postcard. All emails were sent on the same day, but the team tried to select the day on which most of the campaign’s postcards would arrive. "The idea was to have both the mail and the email arrive at the same time," Prioreschi says. "It was an imperfect science, but that was the strategy." "Ultimately, 1% of the total that we mailed actually bought something, which, for us, is huge. We are so happy about that," Prioreschi says. "For the past guests, it’s like off-the-charts better [than past campaigns]." For prospective customers, the campaign showed a less significant lift compared to past campaigns. Prioreschi thinks that past customers likely had a deeper emotional connection with the imagery from their trips’ location, which drove up their responses. The team noticed that those who received both the print and email communications were twice as likely to visit their personalized webpages. That doubling in response also translated to twice the conversion rate and twice the revenue from customers who received both communications, as opposed to customers who only received one communication, Prioreschi says. As expected, the percentage of recipients who visited the personalized webpage increased as the dollar amount of the discount increased. - For example, prospects without families had response rates that increased from 1% to 4% as the discount increased from $200 to $500. - One group, however, had more a u-shaped graph, which surprised Prioreschi. Prospects who were likely to have children showed the following response rates as the discount increased: 3%; 2%; 2.5%; 4%. Since the recipients receiving the lowest discount were those who most recently contacted Backroads, Prioreschi feels that the shorter time span may have played a role in this groups’ higher-than-normal response.